Like remembering every detail of your child's birth: the day, time, statements said and emotions felt, I can clearly recall the moment I became an athlete. My birth was spiritual. My afterbirth was sore legs and a beaming grin. 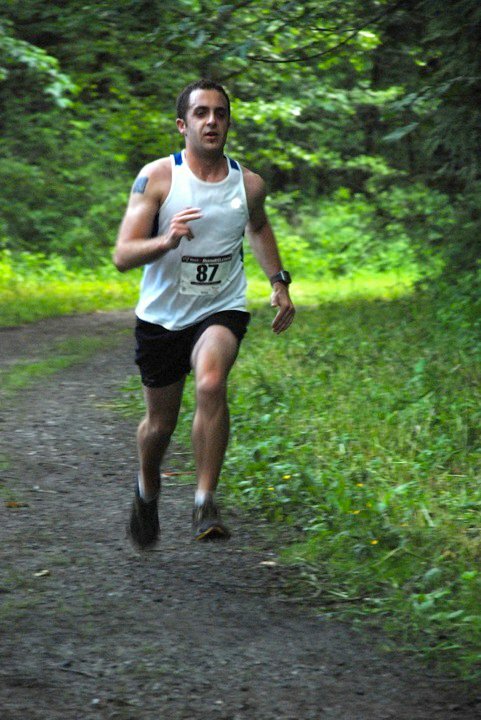 I was the ripe age of 27 and had just ran my second trail race, a local 10-miler where I (amazingly) earned a fifth-place finish. I sprinted the last two miles of the course as the trail switchbacked down a ridge, and overtook a few 40-something dads. My lungs burned, but my will was decided. "These guys aren't passing me" I thought with determination as I pumped my arms and kicking my legs. A few minutes of suffering later and I made it to the finish line of the Grand Ridge Solstice Run. Wow. So this is what I was missing!?! Elated with my performance and thirsty from the effort, I sipped dixie cups of Mountain Dew and repeatedly thanked the race director, Roger. While a modest achievement, that afternoon run in 2009 forever changed me. It was a long time coming, but I finally discovered how I could compete and succeed as an athlete. Growing up I was no couch potato, but I never excelled at traditional team sports. To get me engaged in Little League my parents bribed me with post-game sodas. Despite the sugary reward, every game felt like I had to pretend to care. Meanwhile I failed to master the basics in practice or competition, and dropped the sport after two seasons. Hits? Nope. I lasted longer in the weekend soccer league, but my foot-eye coordination was still rudimentary. I could catch up to other players and my enthusiasm was top-notch, but then I'd fumble the ball game after game. I failed to score a single goal in my entire soccer career. What's the equivalent of a strikeout in soccer again? Whatever that is, I had LOTS of those. For a period in my youth I also got into cycling influenced by Greg Lemond's win in the Tour du France. These were the "clean" days of professional cycling when feats of endurance were celebrated universally with awe and accolades. Watching Lemond's accomplishment—and later Lance Armstrong—I was inspired (and a bit goofy). I wanted to feel that suffering and to wear those laurels. For my birthday my parents bought me a road bike, but it was much larger than my body could manage. "You'll grow into the frame" they promised. I peddled that 24-speed around my neighborhood wearing an oversized helmet and seated on a saddle wrapped in a bright pink cover. It looked very 1990s and screamed awkward pre-teen. Despite this, I felt empowered and pumped my legs while looping the block and fending off chasing Terriers. When I was in grade school my dad developed a passion for speed skating at a Yonkers, NY rink and brought me, my brother and mom along to skate, too. We weren't great, but it was still a blast. During the warmer months my dad also ran on the road from my house, climbing a steep hill on Rt 33 on a four mile circuit. At the time the distance sounded unfathomably far. He also shared stories of running marathons. His thin frame, Type I muscle fibers and patience made him perfect for endurance sports. I wanted to be like that. I looked up to my dad, literally (he is 6'3''), but also athletically. My father was talented. While I never quite could get the basics, he demonstrated with patience: baseball, basketball, soccer, etc. He never pressured me. My dad expressed pride in my attempts. In junior high and high school I rowed crew and started to connect with my maturing body, but never felt the "rowers high" I was promised. Sports were ok and I loved the social component and excuse to interact with girls on the coed team. Rowing was fun I just lacked the dreams of setting new school records or capturing stardom in another sport like my peers. I yearned to be physical, but struggled to find a way to work the itch. Sports in school were worse. Each high school class in Newburgh Free Academy was identical to the last. Coach Bucci would have all the boys form into six teams, three games. I would either attempt to play in the "bad players game" or not even attempt; spending the entire class sitting on the bleachers while dramatically expressing my teenage angst with fellow athletic flunks. After graduating from high school I worked crumby jobs: cart pusher at Home Depot, front desk clerk at a shabby hotel, and customer service rep at a mall. The jobs were terrible enough to inspire me to dream bigger. With honest and raw words from my mother, "You're gonna need to own this. You're an adult now", I eventually figured out how to get to college. It was there that a new athletic chapter began: the weightlifter. But first, I got fat. Freshman year, Spring 2002. I wasn't exactly looking my best. My freshman year was full of overindulgence in sweets and cereal. Luckily in my sophomore year I registered for a class on strength and conditioning. This move proved transformative. Taught by an intense type-A trainer, the class was held twice weekly in the campus gym with the time divided evenly between detailed lectures and hands-on iron-banging. I LOVED IT. I found the instruction and homework on anatomy and training technique immensely intriguing, and the actual strength conditioning almost immediately demonstrated results. My body was changing. Within a few months I went from violently quivering while attempting to complete a single bench press to loading on plate after plate as my limits grew. This class also touched on nutrition and diet supplementation so by mid-semester I had traded the sugary snacks for clean eating and a stack of whey protein and creatine. While the supplements made my farts horrendous, the nutrition and exercise routine replaced fat with muscle. For one of the first time in my life I felt like I was tapping into my power. Each meal now had a purpose: to grow. I'd grill skinless chicken on a George Foreman and added spicy mustard for flavor. Microwaved broccoli from Trader Joe's was my roughage. I ate this meal countless times while reading Gregg Valentino's column in Muscular Development (Men's Health just didn't cut it). I even bought a "dip belt" so I could hang weight off my hips while doing pull-ups to maximize the intensity. It's was beautiful. In the headphones? Ruff Ryders' Anthem. Eventually I earned the nickname "Well Oiled Machine" from one of the school gym managers for the way I'd move from one lift to the next (and probably for my habitual perspiration, too). I wasn't close to being the biggest or strongest guy at the gym, but I adopted a lifestyle, community and identity. By senior year I was now walking around at 200lbs, could benchpress about 1 1/2 my bodyweight, and deadlift over 400lb. Nothing to write home about for the gym elite, but I knew where I started from a few years earlier and was proud of my progress. And so I did what any regular college student would do at that point. I nair-ed off all the hair on my body and hired a fellow student coworker from my job at the admissions office to take photos of my heavily-oiled physique. Pic or it didn't happen. After picking up my diploma I felt a shift. I knew that that chapter of my life was coming to a close, and not just my undergrad. I realized that the gym might not be in my future. Maybe I was destined for something else? After college, I moved west to Seattle for grad school at the University of Washington. Shortly after setting into my new home, I sold my car and used the money to buy a nice lightweight road bike and a motorcycle. Moving to Seattle and selling my car felt novel and reckless, and I LOVED IT. Suffering through rain was worth the story. Seattle is known for more than just Starbucks and Sleepless. It's also a place full of incredible everyday athletes who use the surrounding mountains to run, ski, climb and explore year round. After you've drank all the coffee and read all the books, roaming outside is just what Seattleites do. In his mid-40s, Guy Browne was my first landlord. He had an intense passion for cycling and the shredded physic to go with it. As one of the first people I met in my new city he made an immediate impression on me. Guy's weekends were spent suffering up hills, and riding long miles through all the tough weather Washington could throw at him. And he was just one of many everyday people who I met in my new city during that first year who did epic, epic things on the regular. I couldn't have been more excited to be a part of this community. After being in Seattle less than a week, Leon, a college friend and my housemate, decided to head to Mt. Rainier thinking it wasn't that big of a hike. We had grown up not far from each other in the Hudson Valley area of Southern New York. There were mountains there. Surely Rainier couldn't be that much different? On our drive to Ashland, Wa, the giant volcano continued to grow and grow and grow in our field of view, dominating the skyline on the brilliant July afternoon. We soon realized this mountain was different than the ancient hills we grew up around. Jesus. This thing is immense. Leon and I started the hike up Rainier from the Paradise Visitor Center, climbing high up the mountain and into July ice and snow before realizing our folly. I trekked in Timberland boots, and lacked the food or gear the hike required. Leon was similarly unprepared. Our wits finally got the best of us just above 8,000'. "What are we doing? We should go down." Leon and I turned back and headed back down the winding trail. We lived to hike another day. And we did many times throughout that first fall. While my days and nights were packed with work at the University of Washington and graduate school, I couldn't keep the mountains from calling. Every chance I got I explored the trails around my new home. A friend recommended Beyond Mt. Si, a popular hiking guide listing the top treks around Seattle, including the namesake and one of the most popular climbs in the state., Mt. Si. I wanted to do them all. Soon I was backpacking in the Central Cascades and exploring the trails on the Olympic Peninsula while gaining confidence in my abilities to move in the outdoors. A few years later my father and Uncle came out and we climbed Mt. Rainier. While an injury kept my dad from the summit, my uncle and I had more luck and reached the crater of the 14,411' volcano on a bluebird day. I was exhausted when we finally made it off the mountain and sat down to enjoy a meal, but we had made it! I felt transformed. I wasn't a weightlifting gym rat anymore. I had become something even better. And it turns out my metamorphosis from Northeast urbanite to Northwest alpinist was just getting started. But first... I get a little fat again. After graduating from the University of Washington with my masters, I focused on work and life. Somewhere along the way I strayed from my fitness lifestyle: consuming too many burritos and mojitos, and added a roll of fat around my waist. I wasn't obese, but I definitely wasn't baby-oil-trim either. My doctor even asked about my sudden uptick on the scale. "Well Mexican food is delicious." I sheepishly admitted. Seattle has great mountains and wilderness... but it also has great tacos. For a bit, I lost my fitness edge and started to gain weight. After grappling with my options, I finally committed and had dental hardware attached that summer. The following June I had the surgery. I was grateful that my folks came out to visit and to support me through the recovery. 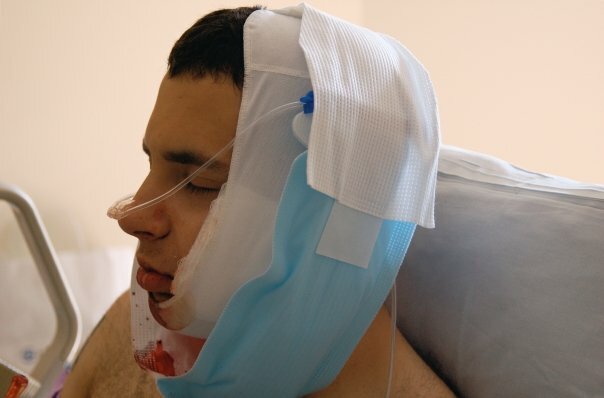 Once I got out of Swedish Hospital in Seattle I spent the first 3-4 weeks with my mouth mostly bound shut with rubber bands. The only nutrition I consumed was slurped in through the sides of my mouth. The arrangement inherently imposed a caloric deficit on my body and the extra fat I carried immediately dropped from my body. Within a month I lost 25 pounds, plummeting from a high of a chunky 195 to a slim 170. While my face was still swollen and I still wore braces across a rubber-band-bound grin, I was making progress. The knew the worst was behind me. Who needs Weight Watchers when you have jaw breakers? 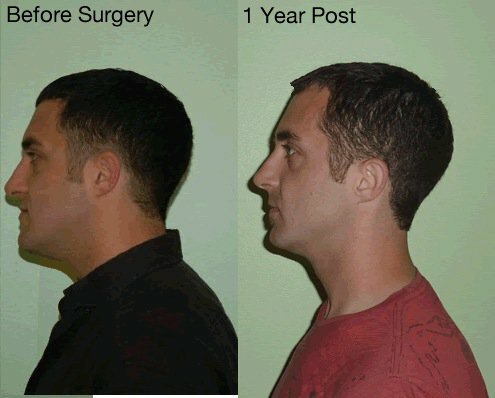 A month and a half after the surgery the pain and most of the swelling had subsided. I finally felt strong enough to get outside. Looking for a social place to be active I headed down to a popular running route in Seattle, Green Lake. My plan was to loop the lake as I had done many times before. I never considered myself a runner, but I could do three miles, and so I started off on the trek. The day was perfect: mild, sunny and alive with fellow Seattleites enjoying the humidity-free air. My new, slimmed down body felt great on the August morning as I started out on the loop. My grill was still sparkling with orthodontics and rubber bands guiding my jaw shut, but I didn't care. I was happy! Distracted by the runners, cyclists, roller-skaters, kids and dogs, the loop just flew by. As I rounded the final corner by the paddle boats and fishing docks, something odd happened. "What if I do another?" I thought. In all of my 27 years, I had NEVER run further than 4 miles. This was uncharted territory. But alas, I trotted on. When I was a few hundred meters from finishing my second loop, six miles, I committed even bigger. "I'm going to run a half marathon... right now." And so I did. I stopped at water fountains for water and just kept trotting along knowing that four loops and half would get to me this newly acquired goal. I didn't have a GPS watch, technical running gear or anything fancy, but I eventually finished, aching feet and all. Thrilled but exhausted, I limped to my car and drove the mile and half to my condo. When I got home I immediately called my mom in NY and reported my discovery in an excited tone, "I'm a RUNNER! I just ran a half marathon. I just ran 13.1 miles on my own!". Her reply was classic, "Isn't that a bit extreme?" Maybe, but a fire was now lit inside me. Little did she know what was to come. Within days I threw away my ancient $20 Champs gym shoes and headed to REI to invest in real running sneakers. After consulting one of the sales reps, I settled on a pair of Adidas Supernova road shoes that were on sale for what I thought then was still an astronomical price of $80. WHAT?!? I also bought real running socks, 2-in-1 shorts and eventually started eyeing GPS watches. I was all in, in heart, body and wallet. This wasn't a sport I was picking up. This was an identity I was internalizing. Soon I started staying downtown late after work to join Niketown evening runs. I loved the excitement of running with a group and the post-miles gorge on cookies and grapes. Every conversation with a veteran runner was informative and every recommendation I'd take detailed notes from. I devoured Runner's World, and the books Born to Run by Christopher McDougall, and Ultramarathon Man and 50/50 by Dean Karnazes. I started running self-designed road routes around my neighborhood and beyond, pushing the distance and finding new challenges. The fall after my self-rediscovery I ran my first half-marathon with my aunt, cousin and father: the 2009 Philadelphia Half Marathon and finished in a respectable 2:03:17. Not bad for a kid who thought for years he just wasn't a runner. While I had previously questioned why anyone would pay to run a race when they could just do the road miles for free, when I crossed the finish line next to the Philadelphia Art Museum and Rocky sculpture, I knew realized why. The cheers. The community. Without sounding too cheesy: the glory. It was amazing. Running wasn't easy for me, especially as I logged more miles, but it connected with my soul more than any other physical activity I had ever experienced. This wasn't a runner's high. This was something deeper. Every mile I logged etched in an identity. 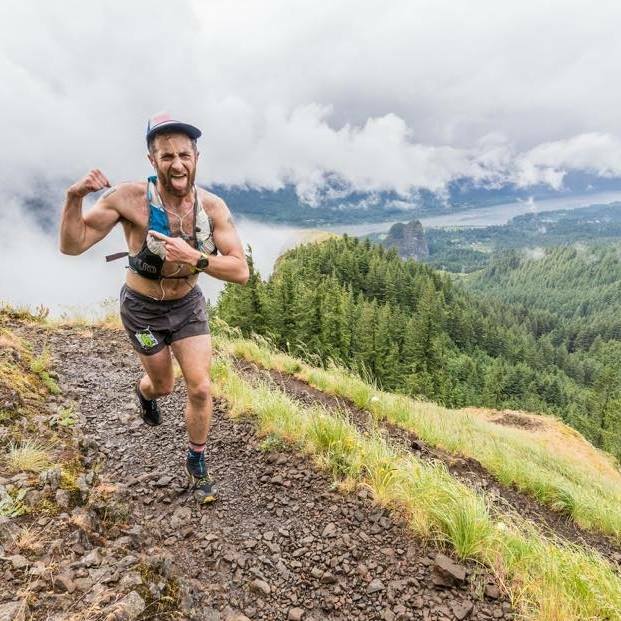 In 2010 I continued to run and hike until one fateful Saturday while hiking on Tiger Mt., a 3,000' six-peaked behemoth situated in the heart of what is lovingly called the Issaquah Alps, a series of mid-sized mountains about a half-hour from Seattle. That morning I had trekked up the Highline Trail, and just as I summited the Tiger 3 peak, I see a man wearing running clothes and wrap-around sunglasses emerge from the trees on an adjacent trail. He was middle-aged, fit and looks serious in his short-shorts and light running longsleeve. I could tel this wasn't a weekend mountain run. He wasn't just seeing the sights. This guy meant business. Sheepishly, I approached him and asked my assumption. "What are you training for?" I posed in the most masculine tone I could muster. I had no idea what that was but shot back with a quick "Oh, yeah" and a nod, then reconsidered. He must have sensed my confusion but offered offered only slightly more detail. And then, like a Olympic ghost or a mountain goat with a Garmin, he ran back into the woods, and down off Tiger Mt. I never saw him again. Luckily I wrote down what he shared with me and was determined to figure out this puzzle. When I got home I googled "White River 50 race" and immediately got what I figured had to be the bullseye. 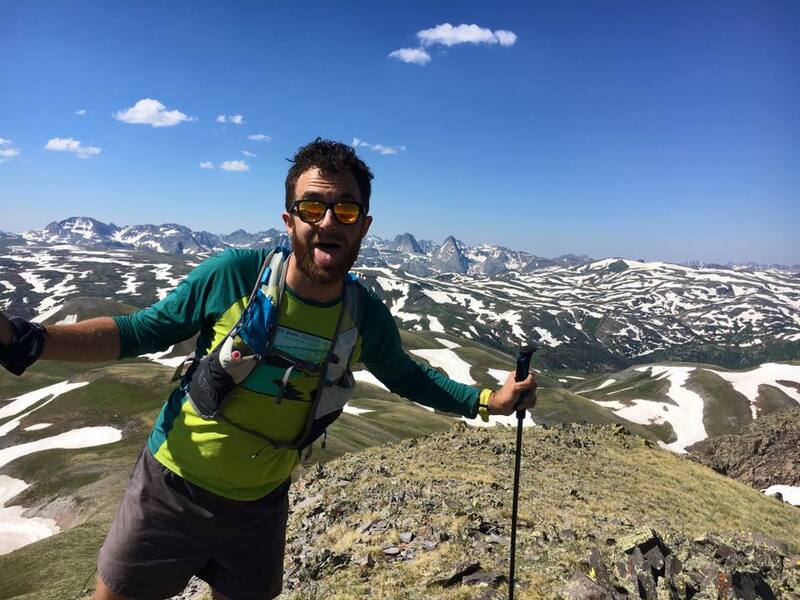 That guy was training for the White River 50, a 50-mile trail endurance run held on Crystal Mt, just adjacent to Mt. Rainier on a figure eight course. Over two big climbs the race had over 17,400' of ascent and descent. Held in late July, the race was six months away. While I had never run a trail race, and had yet to complete a 50k (the standard entry distance for an ultramarathon), within a day or two I committed and paid my race entry fee. I was convinced that I could prepare. Instead of fear, I was excited. In the same way that I had jumped into weightlifting and hiking, I jumped into ultra running. Over the coming weeks I researched and found the Rome Marathon (yup, the when in spot) and decided that I would take a side tour on a trip to Italy and make that my first full marathon. A few months later I found a trail 50K Lost Lake. The race turned out to brutally difficult due to technical trail and 8,000' of climbing packed into ~31 miles. Despite a twisted ankle at mile 19, I 'death marched' the last 13 miles to a finish. Ain't no way I was quitting! After crossing the finish line at White River in 10:28:40, I immediately thought "I will do this four more times". And I did. The kid who wasn't athletic. Who couldn't dribble, hit or score had just became an ultramarathoner at the Lost Lake 50k. And that's pretty cool. A few months later an even bigger goal was realized. Just days after my 29th birthday I successfully battled my way through the stunning White River 50 Mile Endurance in 10:28:40 seconds. While drinking views of Mt. Rainier just across the valley from the run, I was patient with my body on the climbs. I put my head down and trotted when my body wouldn't perform. The race director Scott's guidance rang loud in my head, "micromanage the course". When I could run, I ran. When I had to walk, I walked. But eventually. I made it to the finish. While I never saw the mythical athlete at the race I met atop Tiger Mountain six months earlier, I silently thanked him. Whether he was real or imagined. After finishing I also immediately committed to myself that I would run this race for a total of five times. That concept just sounded cool. Over the coming years, each summer I returned to White River. In 2014, I dropped halfway when the person I was running with fell ill, and in 2015 I had to skip the event due to travel. It took seven years, but in 2016 I finally scored my fifth finish in a time of 10:41:40. Not my fastest WR, but I had set a goal and realized it. In my eyes, that was HUGE. I had become a runner; a trail runner; an ultramarathoner! Over the following years I would run dozens more trail races and start to build an Ultrasignup profile I was proud of including many more 50k, 50 -ile and 100k races. I even finished five 100-mile races on some wild mountain courses including a particularly challenge one call IMTUF, each time earning a fancy belt buckle as a souvenir. I'm now closing in on a decade of running and continue to learn from the adventure. I've found a place to complete, an identity as an athlete and a humbling practice I get to grow from, always. For those reading this who might not think they are an athlete, or that they can't feel at home in movement or in sport. Just keep looking! I promise you'll find it. Humans are an athletic species. We were designed for this. Just because you can't hit a ball with a stick, doesn't mean you can't do great things. Just keep trying. Keep exploring. You'll find your fitness, and it probably won't even take 27 years like it did for me.